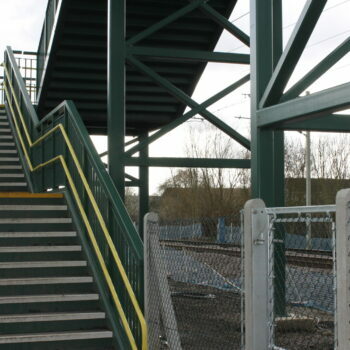 With 700 pedestrians crossing every day and trains travelling at 85mph in this section of track, the need for a new footbridge was of the utmost importance, at Trinity Lane. 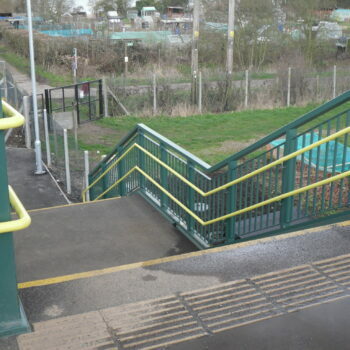 Previously, this had been an unmanned crossing. 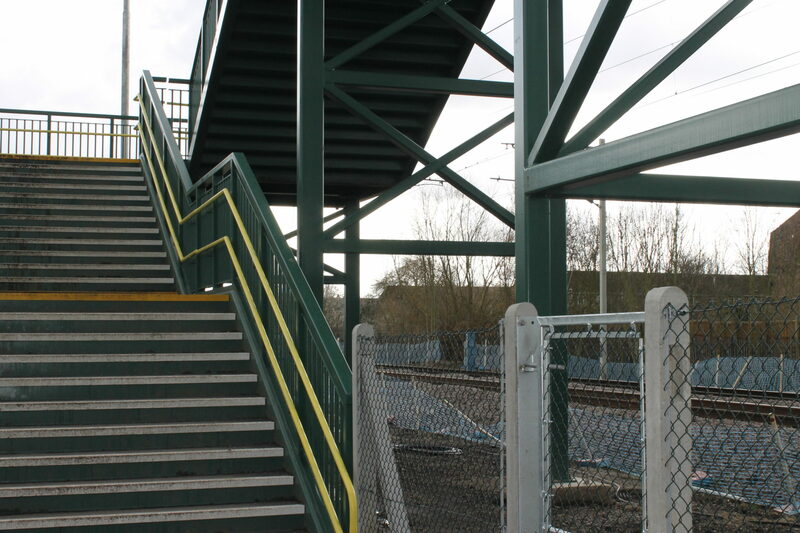 Having had numerous near misses in the past, we aided in the creation of a new, safer way to get pedestrians and cyclists over this fast-moving section of train track. 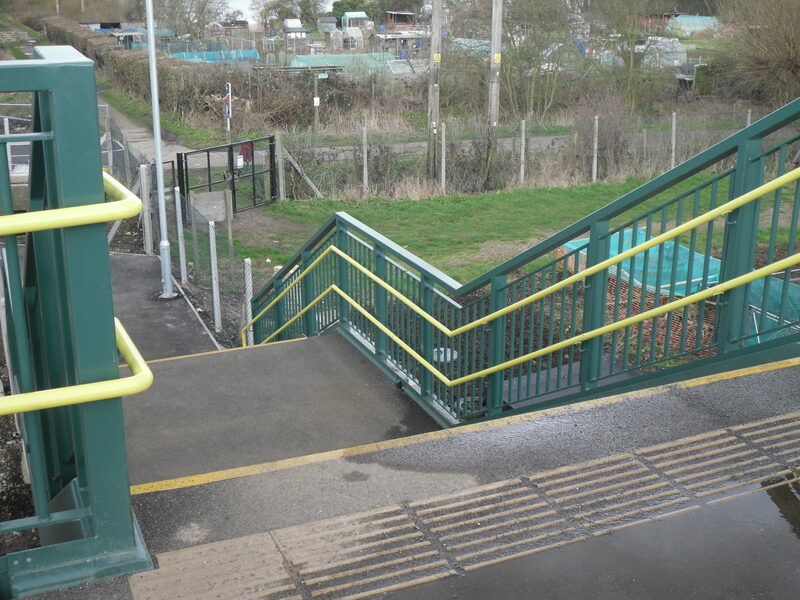 The footbridge would need to address these issues with those who use the bridge in mind. 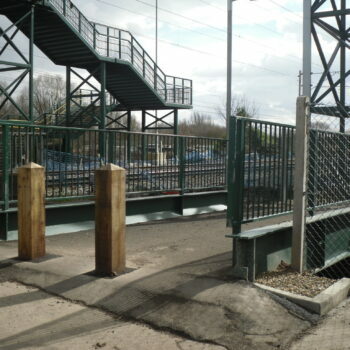 The bridge includes a track for cyclists to run their bikes along while climbing steps and warm to touch handrailing. 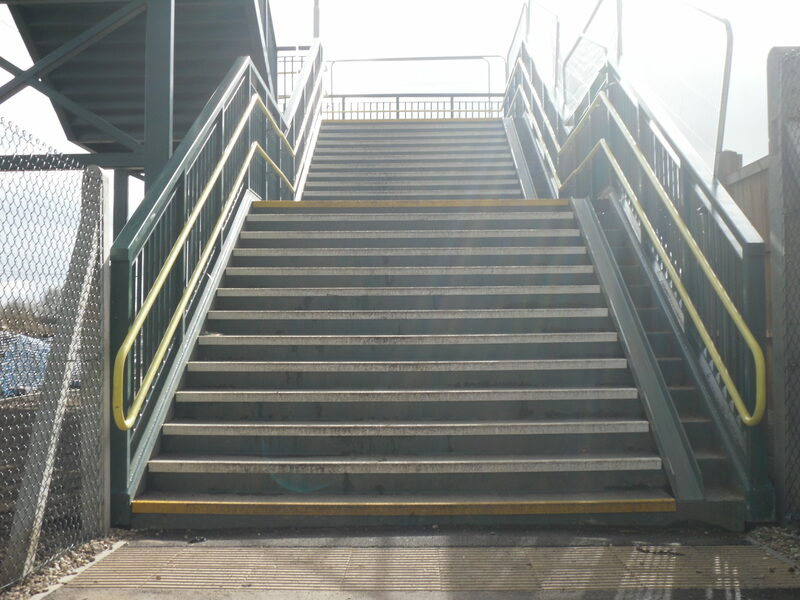 Corduroy strips and coloured edges help people with visual impairments to detect the edges of the steps. 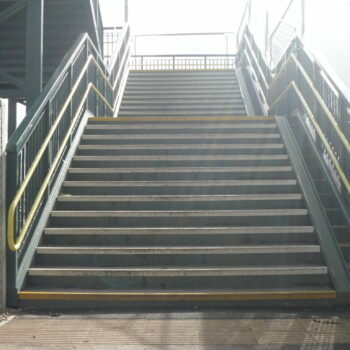 The steps are clad with an anti-slip textured tread and flat sections are covered with an anti-slip flooring. 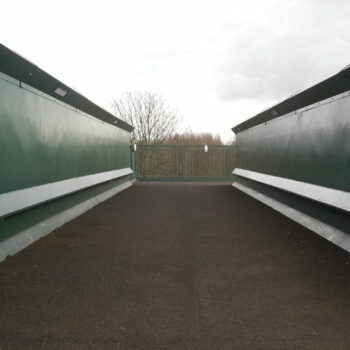 Drainage spitters were also installed at drainage positions, with the landing angled towards the spitters, to prevent water pooling on the bridge. 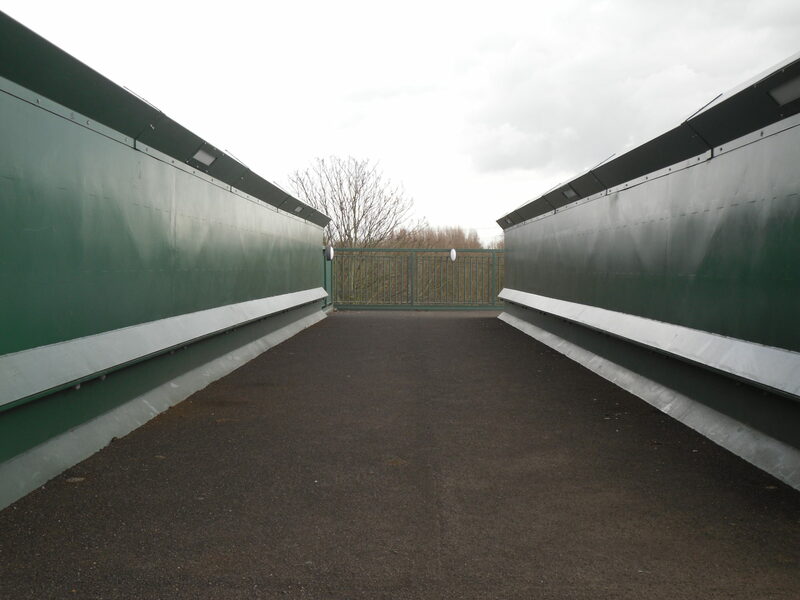 This ensures the bridge remains effective through wet weather. 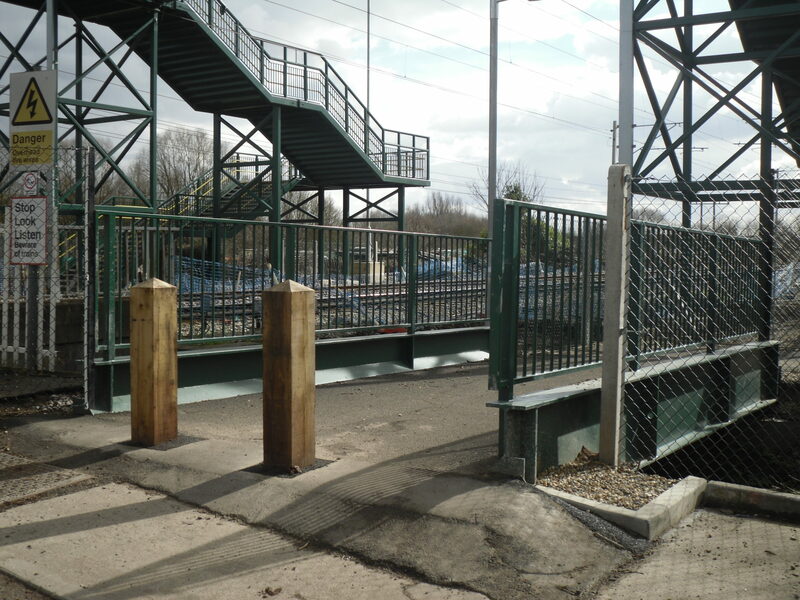 Additional, high-level, louvred screening was included on trackside to ensure neighbouring houses had privacy from those walking cross the bridge. 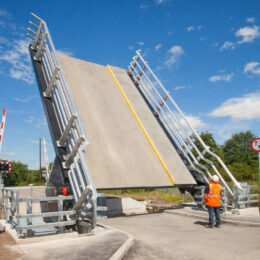 In addition to the main bridge, two smaller bridges were produced and installed to span a small river gulley nearby. 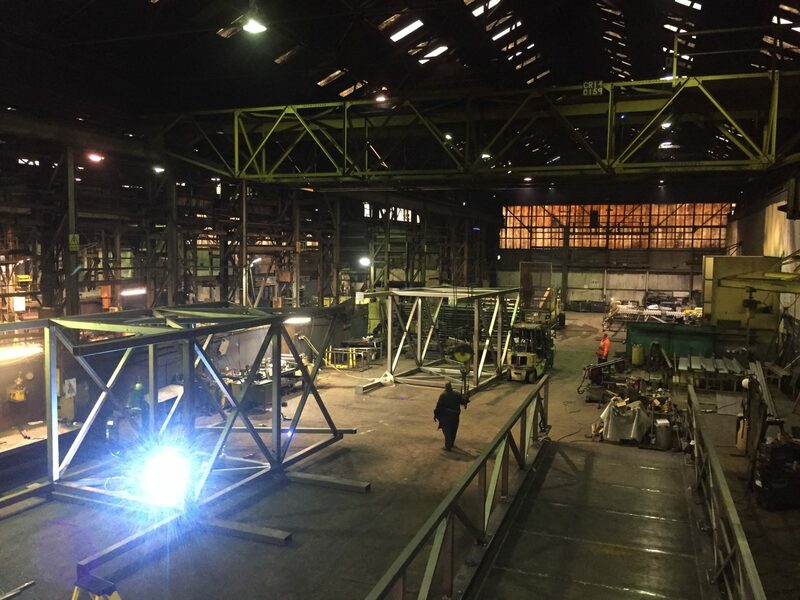 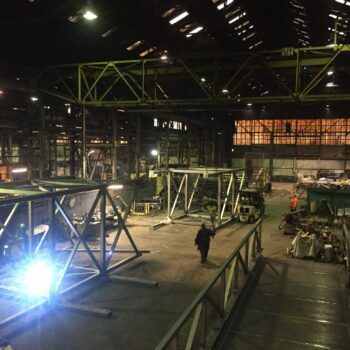 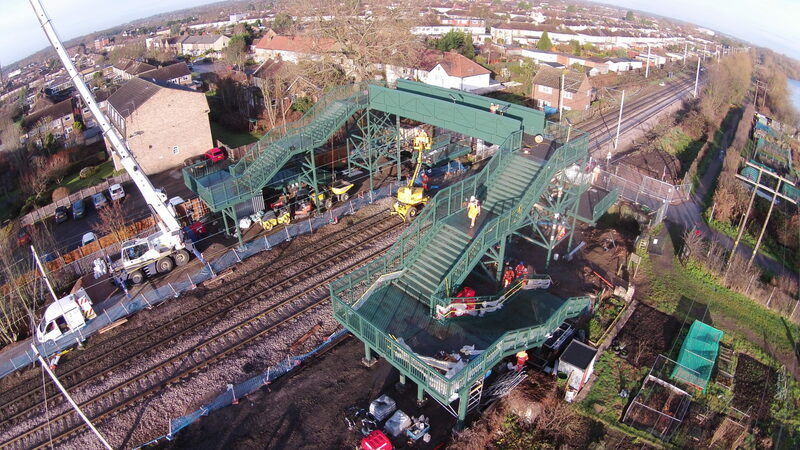 To ensure minimal disruption, the bridge installation was carefully planned and managed to fit within the time-frame of an existing track closure. 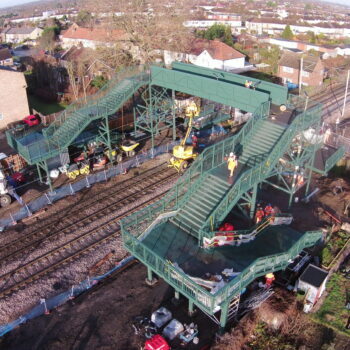 The finished result is a bridge that has drastically improved the safety of pedestrians and cyclists who cross this section of track, whilst, in addition, making it a comfortable and enjoyable experience.